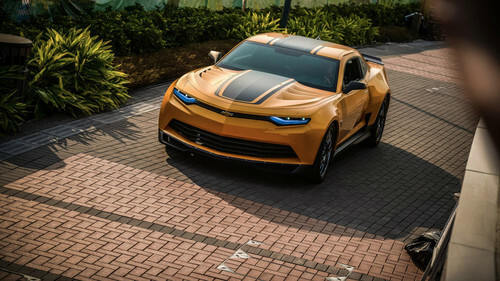 NEW Bumblebee from Transformers: Age of Extinction. . Wallpaper and background images in the transformers club tagged: photo transformers age of extinction 2014 bumblebee New chevrolet camaro. This transformers photo might contain taksi, hack, and taksi taksi.